So much is made of Mexican cooking that it’s often assumed that all of the neighbouring cuisines are quite similar. Nothing can be further from the truth. Mexican cuisine has a significant Spanish influence. Not so in the Caribbean. Central American cuisine (Mexico is in North America) is about as diverse as you can possibly imagine. It’s hard to think of another spot that, over the centuries, served as more of a “clearing station” for entry into the New World. The Arawak, Carib, and Taino Indians were the first inhabitants of the Caribbean. Their daily diet included meat, vegetables and fruits such as papaw, yams, guavas, and cassava. It is believed that the Carib Indians added spices, like pepper, to their food. The Caribs are the indiginous people the region is named for. Once the New World was "discovered," there was a steady stream of influences. Europeans brought African slaves. The slaves blended what they could of their native diet with that of the indigenous peoples. They also brought vegetables like okra. Many Caribbean island locals eat a diet that contains ingredients of original early African dishes like cassava, sweet potatoes, yams, plantains, bananas and corn meal. Jerk cooking is from a technique from Africa used by hunters to help preserve food on long hunts. After the abolishment of slavery by Europeans they went looking elsewhere for a cheap labour force. They found it in China and India. Sound familiar? 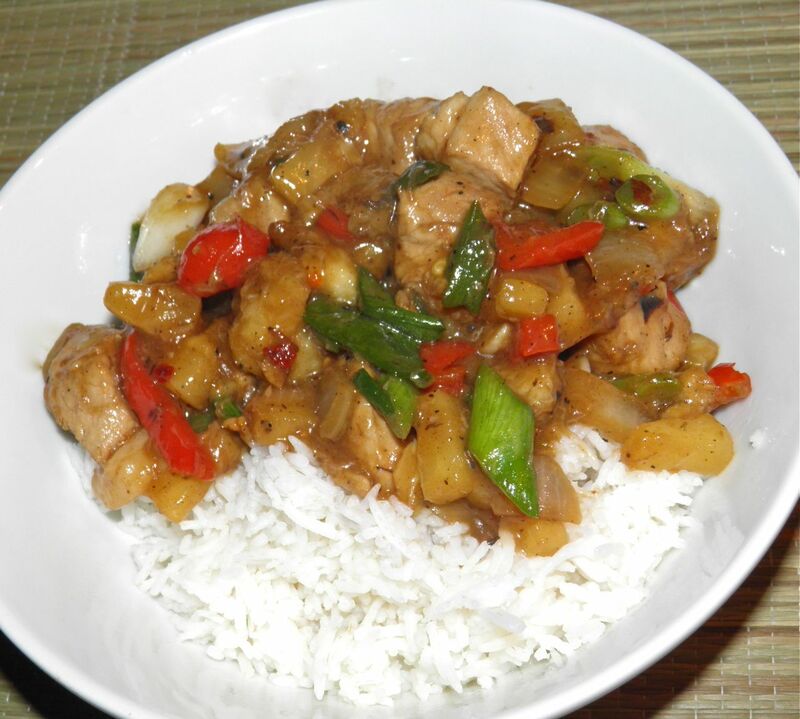 With the influx of those peoples came their cuisine – and curries and rice. Portuguese traders also brought codfish from the North Atlantic. Much of the fruit we associate with the Caribbean also came from outside sources, most notably the Spanish. Orange, lime, ginger, plantains, figs, date palms, sugar cane, grapes, tamarinds and coconuts all came from the Spanish. Commerce with the American colonies introduced crops such as beans, corn, squash, potatoes, tomatoes and chilli peppers. So if you ever wonder why Caribbean cooking seems to be a catch-all, you now know why. Indigenous, European, Chinese, Indian all have been major influences. Each added its own special flavour and spice to what makes up one of the most interesting cuisines in the world. So what does one make when faced with such diversity? How about something sweet and spicy? Place a little butter in a non-stick pan. Peel and cut the bananas along their length (like a banana split). 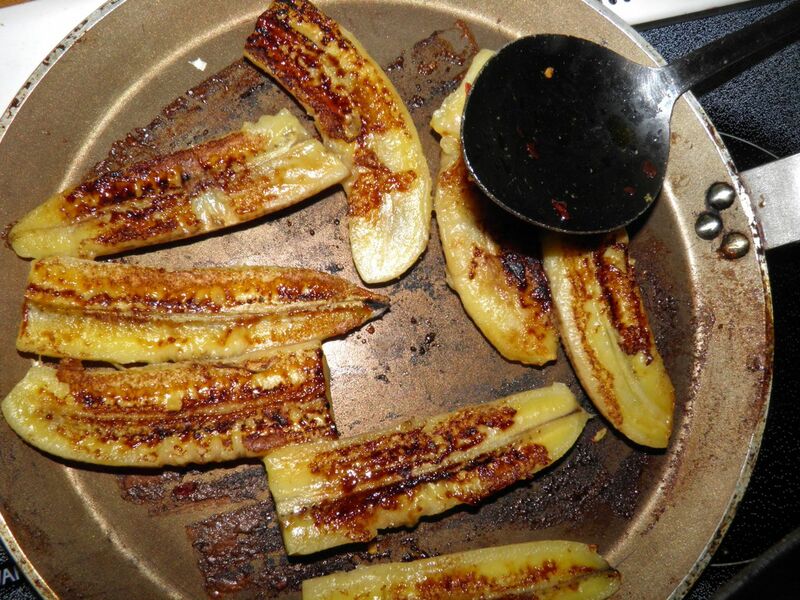 Fry the bananas until nicely browned. Cut into 1” pieces and set aside. 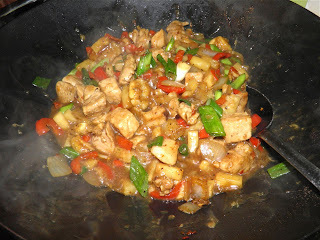 Heat the oil in a wok. 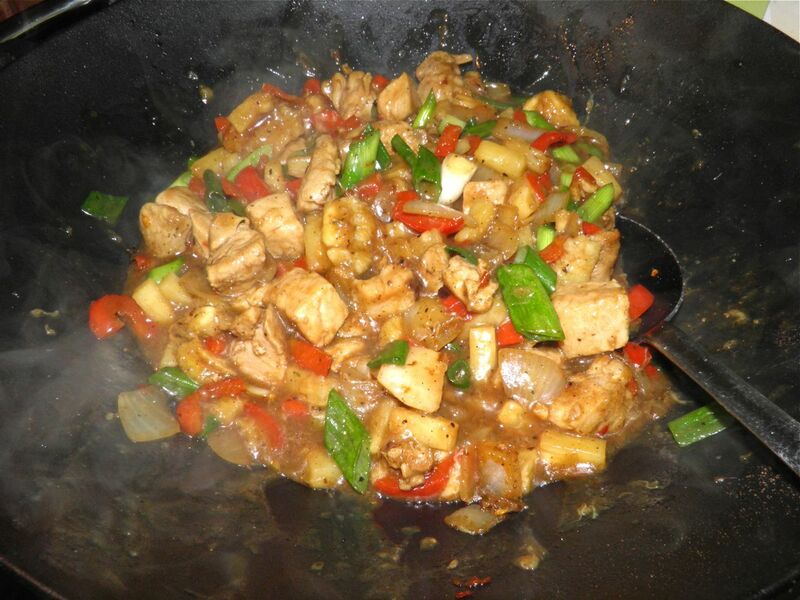 Sprinkle the pork with salt and fry with the chilli flakes until just no longer pink. Set aside. Add the onion, garlic and red pepper to the pork. Fry until the onions begin to soften. Add the pork back in and toss well. Drain the juice from the canned pineapple. There should be almost 1 cup of juice. Top up with water to that amount. Add the banana pieces, pineapple tidbits, thyme and allspice to the meat in the wok. 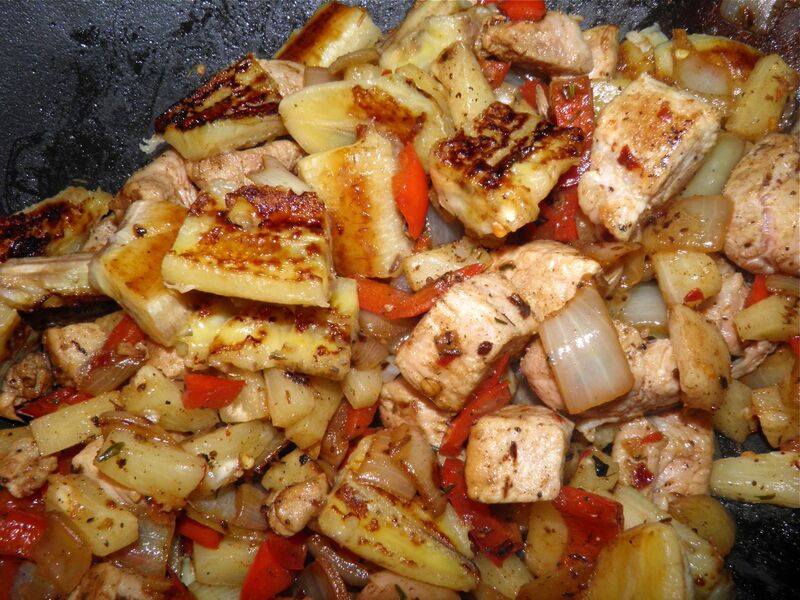 Add the pineapple juice and soy sauce. Bring to a boil. Add the green onions and cornstarch slurry and toss well. Let the mixture cook just long enough to thicken and serve on fluffy white rice.